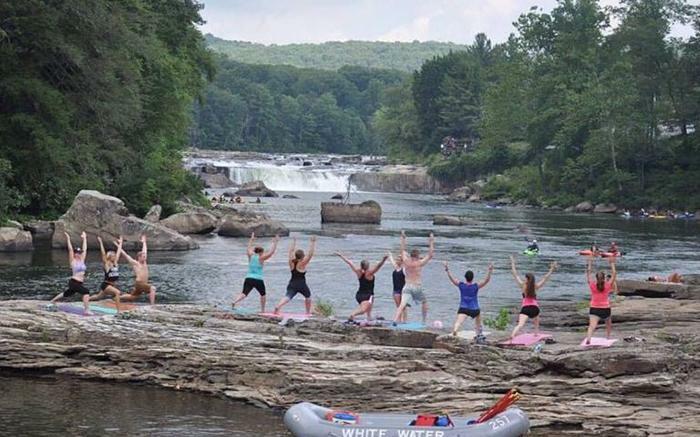 Experience yoga in the peace and beauty of the Lower Yough Gorge with instructor Taylee Wilson! 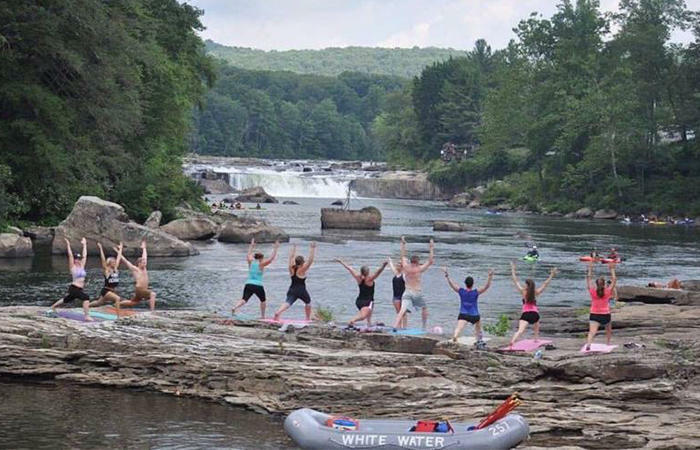 Do a little yoga...do a little rafting. It's a great way to rejuvenate! Start the day with a relaxing flow, then raft part way downstream on the Lower Yough to the next yoga spot. Repeat. Price includes rafts, paddles, life jackets, helmets, snack lunch, guides in kayaks, and transportation back to the check-area. 7 ½ miles of rafting. Class II-IV rapids. Minimum age is 12. Reserve now on the event website! Location: White Water Adventurers, Inc.